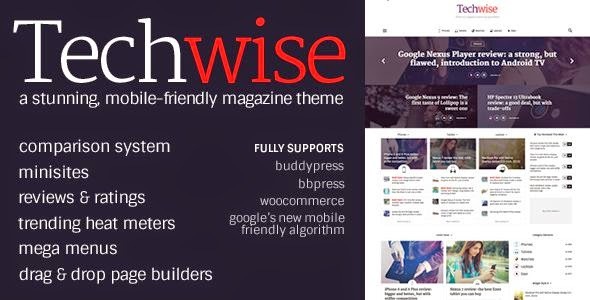 Techwise is a stunningly simple to use responsive WordPress theme for sites on gadgets, gear, technology, news, magazine and video; but it is extremely flexible and can be used for any kind of content website. It has unique side by side comparison, trending article, complete review system and many extra features. Item Reviewed: Stunningly Design News Magazine WordPress Theme 2015 9 out of 10 based on 10 ratings. 9 user reviews.